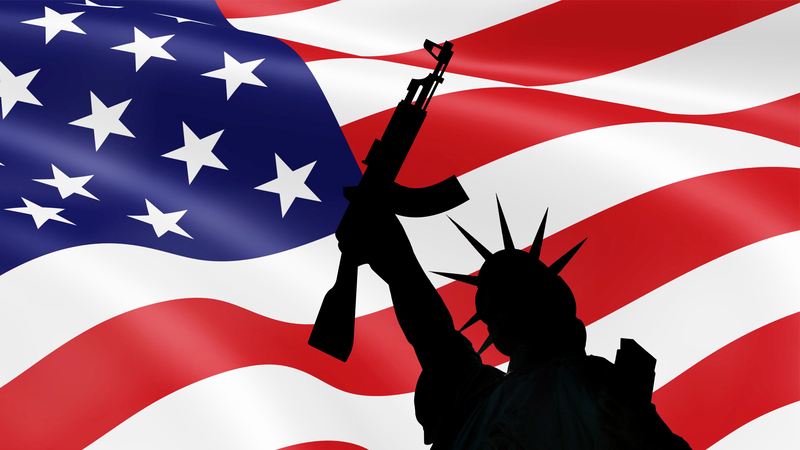 The debate over gun control is considered around the world as a uniquely American issue. Yet the underlying story is actually global in scale, as is the solution. In a newspaper interview, American actor Brad Pitt noted, “America is a country founded on guns. It’s in our DNA.” He has used guns in numerous roles on screen, but unlike many of his acting counterparts, he does the same off-screen. “It’s very strange but I feel better having a gun,” he said. “I don’t feel safe, I don’t feel the house is completely safe, if I don’t have one hidden somewhere.” His claim that guns are in America’s DNA is clearly metaphorical; genetics does not, after all, recognize national borders. But it’s worth asking exactly what he meant by it, especially as his comment came amid a spate of gun-related crime. By “gun culture,” Hofstadter was pointing to the fact that, for Americans, guns are about much more than crime. Americans who own guns (and to be clear, 64 percent of households do not, according to a 2016 poll) do so for a myriad of reasons: hunting, sport shooting and wildlife management, to name just a few. This is the hidden side of what the rest of the world sees when a mass shooting occurs. Another reason for gun ownership has in recent years become increasingly prominent, however. In a 1999 Pew poll, 26 percent of gun owners cited protection as their primary motivation; a 2013 follow-up poll saw that figure rise to 48 percent, making it the most popular reason of all; like Brad Pitt, 79 percent of gun owners said that owning a gun makes them feel safer. Mass shootings and other tragedies, with 9/11 being foremost among them, appear to have been a catalyst for this change. A January 2016 report by NPR News quotes longtime gun-show organizer John Lamplugh: “After San Bernardino, our business went up probably 50 percent. . . . They’re scared and need to protect [themselves]. Or they’re afraid that [the government is] going to take it from them. There’s the two things that drive our business.” By some estimates there are now more guns in America than people—a far greater ratio than anywhere else. This “helpless shrug” is a sign not only of how intransigent the discussion has become but also of the complexity of the issues. It is generally accompanied, Beckett says, by “almost ritualistic manoeuvring as people on all sides take up entrenched positions.” Some (mostly liberals) say guns are the problem, while others (mostly conservatives) say they are not. There seems to be no gray area. It is an extraordinarily polarized issue, as partisan as any sports match or trench warfare. Each side has its distilled arguments, compressed and repeated in conversation and on websites everywhere. Some go further; for instance, one strain of Internet commentary claims that shootings in Orlando and Sandy Hook were politically motivated hoaxes to further the antigun movement. Outlandish claims such as this, though not widely held, are not out of kilter with the general thrust of debate, which seems in many cases to be willfully obstructive. No single aspect of the issue—polarized politics, media power, multicultural frictions and history, mistrust of government, or even the presence of guns—is peculiar to the United States. Other countries have most if not at all of these factors. But many Americans view guns differently, and the reason is more complex than either side seems willing to contemplate. In fact, it might be said that the dispute misses the core of the problem entirely, and it’s instructive to see how and why. The debate often begins—and sometimes ends—with the Second Amendment of the US Constitution, instituted in 1789: “A well regulated Militia, being necessary to the security of a free State, the right of the people to keep and bear Arms, shall not be infringed.” To put it in clearer grammatical terms, the amendment declares that a well-regulated militia is necessary to the security of a free state; therefore the right of the people to keep and bear arms shall not be infringed. Its abstruse syntax has been the root of a lengthy debate about whether it refers to private citizens or to a local militia only. However it is interpreted today, the principle was established a century earlier, when the English government could install standing armies in civilian spaces during peacetime. The Second Amendment was designed to be a check against that; but in recent decades it has been more broadly applied. 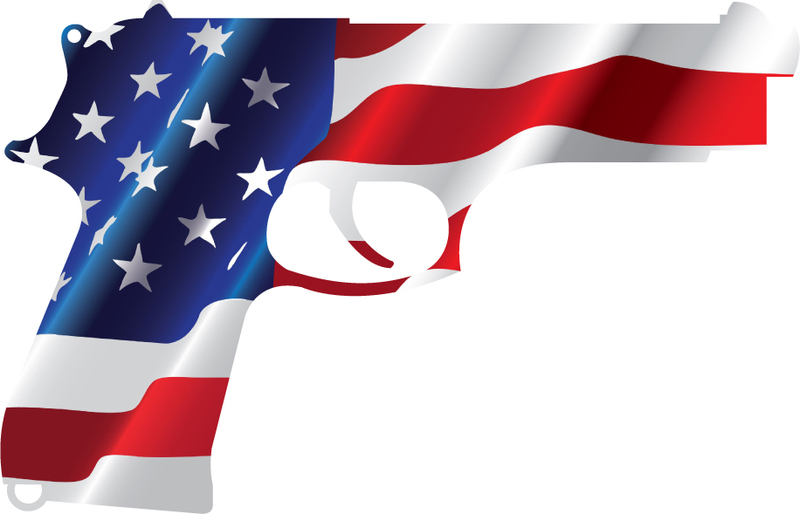 Most controversially, and to many people’s surprise, in 2008 the US Supreme Court relaxed its interpretation to allow individuals to arm themselves for general self-defense. Such vigilant adherence to a centuries-old document strikes many non-Americans as odd. The United States stands with Mexico and Guatemala as the only countries in the world with the right to bear arms enshrined in their constitution. British journalist Henry Porter wrote in a flagrant opinion piece that “we dispensed with these rights long ago, but American gun owners cleave to them with the tenacity that previous generations fought to continue slavery.” Porter writes dismissively, and with astonishment—which isn’t surprising as, to him, guns are not especially important. For many Americans, however, the gun is more than a tool or implement or accessory: it is an intrinsic part of who they are. Sheriff Mike Lewis lives in rural Wicomico County in the state of Maryland. Speaking to News21, he said, “I’ve been holding a gun in my hand since I was probably old enough to walk. I really have. It’s part of my everyday life to be armed. I don’t go anywhere without my gun.” He goes on to say, “We love our way of life down here.” His words echo those of Brad Pitt, who claims to have owned a gun since nursery school. Lewis is white; he is middle-aged; he is Republican; he is male; he lives in a rural area. According to statistics, he is an archetypal gun owner. It is part of his identity. He may sound like a character lifted from a Western, but the reasons he gives for gun ownership—recreational hunting and self-defense—suggest something rather more low-key and habitual than a John Wayne stereotype. It matches the profile and activities of most gun-owning Americans, especially those living in the nation’s vast rural areas. For Lewis, guns are part of everyday life and have been since childhood. Again, this is typical: those who grew up with a firearm in their home are three times as likely to own one as an adult than those who did not. For many of them, guns are part of what it means to be American. Guns are also increasingly a political identity, though it’s important to note that gun control, in principle, finds broad support across the spectrum. What it comes down to is priorities. A 2000 Pew poll found that 66 percent of those supporting the Democratic presidential candidate felt it was more important to control gun ownership than to protect gun rights, while a smaller percentage (46 percent) of the Republican candidate’s supporters felt the same. In 2016, a follow-up poll found that gap radically widened to 79 percent of voters backing the Democratic candidate and just 9 percent of those backing the Republican. This matches the widening polarization on many other issues, both ideologically and demographically, between the two dominant parties. When gun control legislation is put forward—sparked mostly by tragedies at the likes of Columbine, Sandy Hook and Orlando—it encounters strong and consistent resistance, usually on the basis that it goes too far. This is no surprise when, as already noted, for many the gun is inextricably linked to a way of life, it is what formed their country, and it is an intrinsic part of their national values. To attempt to restrict the gun rights of law-abiding citizens is seen as a personal attack on their freedom and a threat to their very being, which is why the “cold, dead hands” slogan has had such resonance. American antigun activists have worked toward predictable aims—more stringent and regular checks on ownership, increased levies, firmer control on sales—but with little success thus far. Although every major shooting incident is inevitably followed by a flurry of antigun activity—from media outrage to Senate hearings to new attempts to draft gun-control legislation—the movement has been largely weak and divided, lacking a monolithic counterpart to the NRA to champion their cause. Some ask for an outright elimination of guns, while most aim for varying levels of more moderate control; but rarely have they acted with any clarity or consistent energy. By contrast, the response of progun activists to the spate of mass shootings has been both united and very different, being neatly summed up by another popular slogan: “Guns don’t kill people, people do.” The aim is to transfer the focus from the object (the gun) to the society around. What is at fault, according to this logic, is not the gun itself but the mind of the perpetrator behind it. They further reason that shooters are directly affected by the general culture of crime and violence perpetuated by the news and entertainment industry—an alluring argument, though it lacks broad support from available evidence. While there is no doubt that guns play a prominent part in the news and are often glorified in films and video games, studies have failed to show a direct causal link between them and crime. On another front, while there is no conclusive evidence that guns increase crime, studies have shown that they do intensify it; that is, the presence of a gun increases the likelihood that a crime victim will die. Regardless of the ideals set forth by leaders, humanity has never yet succeeded in preventing violence and war. Is there any solution? That said, there is value in searching for the root of violence in humanity rather than in the weapons they use. After all, human violence has a long history. Two thousand years ago the apostle James asked in his biblical letter, “What causes fights and quarrels among you? Don’t they come from your desires that battle within you?” (James 4:1, New International Version). According to this, attempts to restrict or eliminate gun use can’t eradicate violence, because the human heart (and not the gun) produces it. Without guns, our resourceful minds would find other ways to satiate those battling desires. What is ultimately needed, then, is a universal change of heart, which the Bible also speaks of (see, for example, Ezekiel 36:26 and Isaiah 11:9). The progun movement’s perspective does not match the Bible’s, of course, but is rather drawn from a specifically American worldview. The logic is succinctly expressed by NRA president Wayne LaPierre: “The only thing that stops a bad guy with a gun is a good guy with a gun.” Sheriff Lewis said, “We need to get the guns out of the hands of bad people.” It’s a binary perspective familiar from tales of the Wild West. The good guy–bad guy model is intrinsically American, familiar from old Hollywood classics, cowboys and Indians, cops and robbers. It’s a simplistic model, easily disseminated, ideal for media and online sound bites. It also draws on concepts of America’s past—from the colonial settlement of native lands to the Cold War. Its perpetuation is the furtherance of a national idea. It is odd that conservatives, among whom are a significant number of evangelical Christians, should take this tack when the biblical model is so near at hand. Scripture describes human society as sinful (Romans 3:23) and antithetical to peace (James 4:4; John 14:27). But it doesn’t divide humanity as a whole into “good guys” and “bad guys,” nor does it support the view that a gunless society (or one where gun use is restricted) will automatically be a peaceful one. Our world is one in which “the works of the flesh,” including murders (Galatians 5:19–21), do happen; so grim events such as Sandy Hook and Orlando match the biblical narrative of this world. Neither liberals nor conservatives offer successful solutions to this. By contrast, Jesus urged his listeners to turn to Him to escape the world’s darkness, and to find peace of mind in His salvation and way of life (John 14:27; 16:33). This is not, however, the direction that many in the United States—or indeed anywhere in the world—have taken. Acquiring a gun is not the only way people have of coping with social fear and anxiety (and indeed, many would not), but it is interesting how well-publicized tragedies and perceived external threats have encouraged people to find succor and security in guns. “Gun violence has permeated our conversations and our existence,” Tricia Wachtendorf, director of the Disaster Research Center at the University of Delaware, told the BBC. There’s a sense that they are everywhere, and people act accordingly. Many are on high alert: false shooting alerts in public spaces such as airports and shopping centers have increased. Speaking of a shooting in Aurora, Colorado (in a cinema where guns are prohibited), one woman remarked, “Gun-free zones are potential death traps—wouldn’t catch me in one.” Another online commenter wrote, “I am 79 years old. Served in the US Army, expert rifleman, I have never hunted or shot animals, I have never owned a gun in private life but I am now going to buy a gun. Why? Because all of a sudden I see trouble on the horizon.” This apprehension, which is not unique to gun owners, also fits the biblical narrative of today’s world. Jesus predicted that “wars and rumors of wars” would proliferate in latter times; or one might say, shootings and rumors of shootings (Matthew 24:6). Gun-show organizer Lamplugh sees Americans dealing with fear by buying guns; by contrast, Jesus urged His listeners to dispel fear by relying on Him (John 14:27; 16:33). Many aspects of American gun culture are the exception to international norms, but the nation’s response to tragedy is not. Throughout the world people seek human solutions that in many cases are counterfeits of the protection God offers. It is useful to remember that when God led the ancient Israelites to battle, their victories never came by military might but rather by divine power; see especially the narrative of Gideon in Judges 7. 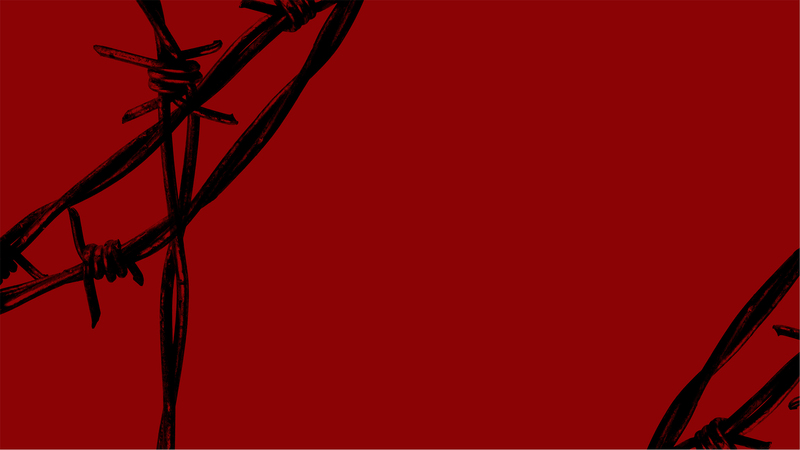 When Israel faltered—and they did, often—it was because they turned away from their God. It’s ironic, in this light, that so many Americans acquire guns with currency that features the motto “In God We Trust”; but that irony is incidental as reliance on self and materialism rather than on God is a common human failing. The gun, or indeed any physical defense, and the Second Amendment (which is often observed with something akin to religious rigor) are inferior substitutes for what God promises to those who obey Him. Amending this situation would require a tremendous alteration in society. It would mean humanity adopting a different identity, one that is not governed by human ideas or patriotic notions. It would also require a universal change of heart, as alluded to above, to eliminate the innate urge toward violence—with guns or any other implement—that the apostle James described. It seems virtually inconceivable given current conditions and the ideological intransigence on all sides; but the Bible promises that it will happen. The prophet Isaiah wrote about that future time in terms of swords, plowshares, spears and pruninghooks. If we put his words in more modern terms, it might read something like this: “They shall beat their pistols into pitchforks and their rifles into rakes.” And perhaps the paramount principle in such a peaceful world: “Neither shall they learn war [violence] anymore” (Isaiah 2:4). May that day come soon. Insight: Where Does Your Security Lie?